I’ll make a bet with you. I swear I’ll pay up too if I lose. I would wager that David Lowery is a fan of two things. One, he’s a fan of the films of Terrence Malick, few though they are. Two, he grew up watching 1970s crime thrillers set in the South, including Texas. How do I know this you ask? 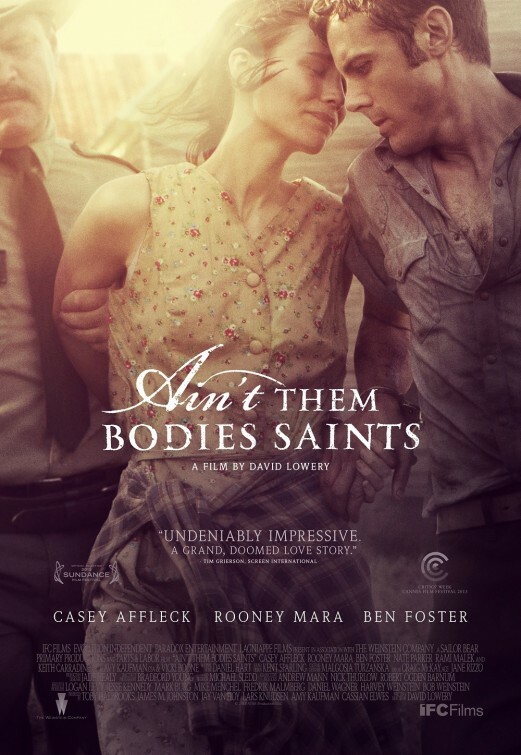 I watched Lowery’s film “Ain’t Them Bodies Saints”, which he wrote and directed, a film with obvious influences from both of the above. After a botched robbery that resulted in a police officer getting shot, outlaw Bob Muldoon (Casey Affleck) is sent to prison with a 25-to-life jail sentence. 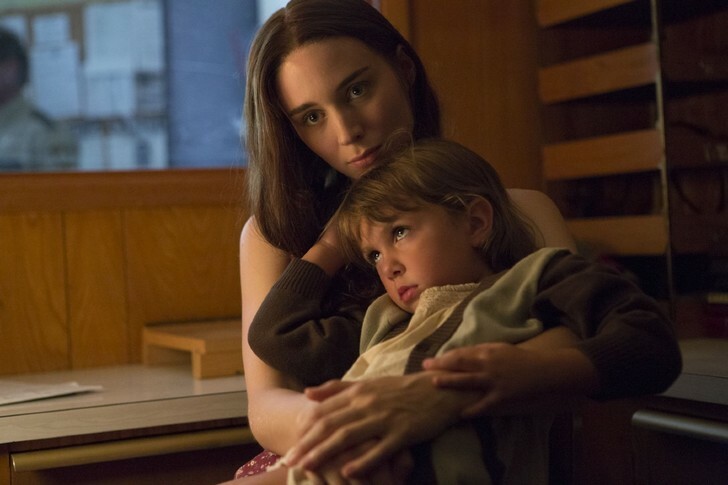 He took all of the guilt and blame for the robbery and the shooting, his pregnant wife, Ruth (Rooney Mara), a willing participant and the one who actually shot the officer. Years pass, Ruth has a baby daughter, and life moves on of sorts, Bob writing her almost every day from prison as his sentence wears on. After three-plus years go by, Ruth is shocked when the police arrive to tell her something….Bob has escaped from prison. Does she know anything about the escape, his intentions or where he’s heading? Ruth maintains that Bob wants nothing to do with her, holding back the truth, but she knows her husband is coming back to bring them with on a new life. Does Ruth want to go? When I saw this trailer last spring/summer for this movie, I was immediately intrigued. The visuals, the lyrical story, the small-time crooks, all those different stylistic choices, I was convinced this was a film from director Terrence Malick. Convinced of it. I was wrong, Lowery both wrote and directed this 2013 film. The influences though are obvious from Affleck’s ethereal, dream-like narration, the long shots of open fields and grass blowing in the wind, the music from composer Daniel Hart that’s almost trance-like, soothing and calming with an ever-growing sense of doom and dread. 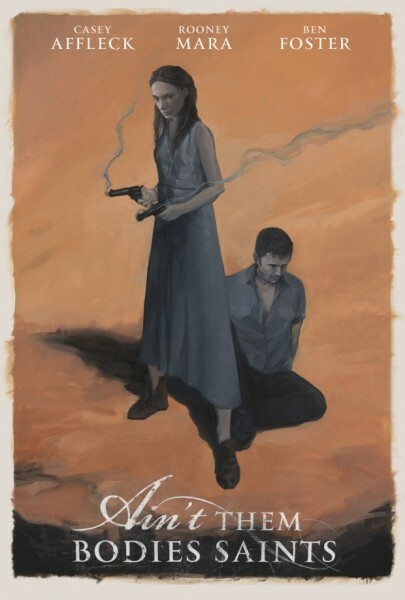 It reminded me of Malick’s “Badlands”, of the more recent “Cold Mountain”, and of countless movies set in the South and in Texas, different worlds when it comes to movie portrayals, especially with crime stories. It’s a different sort of crime here, more personal and on a smaller scale. So what doesn’t add up? I….don’t….know. Okay, that’s not fair, I know, but I’m struggling to explain it. All I can I come up with is this, “Bodies” doesn’t create its own identity. It feels familiar, like we’ve seen this countless times before. It’s too familiar. More than that though, “Bodies” depends on that familiarity. Lowery’s script isn’t interested in explaining or in some cases, even addressing how the story develops. It drifts from scene to scene without transitions, scenes of nature and sunsets and grassy hills serving as those transitions. The story is equal parts too fast and too slow because of those seemingly missing scenes that just ain’t there. I’m going down a slippery slope here in my criticism. Stories like this force critics’ hands. Is it smart because it doesn’t spell everything out for us? Or is pretentious, using that as an excuse to gloss over flaws in a story? Lyrical, dream-like only goes so far when those missing gaps are key to….well, everything. The biggest fatality is the characters. At no point did I feel like I was really invested in any of these characters. Affleck is hit the hardest, his Bob Muldoon going from possibly a tragic anti-hero to a rambling, angry husband and father who may not be all there. Affleck’s Bob has two rambling monologues that other characters interrupt to correct/question, painting Bob as something else than we’re seeing. Getting out of this unscathed, even representing herself very well, is Mara (a rising star in Hollywood) as Ruth, an almost single mother who’s tortured by a decision that tore the family apart. Her scenes with her daughter, Sylvie (played by twins), are effective and moving, especially as she sees this new life she’s got isn’t so bad. 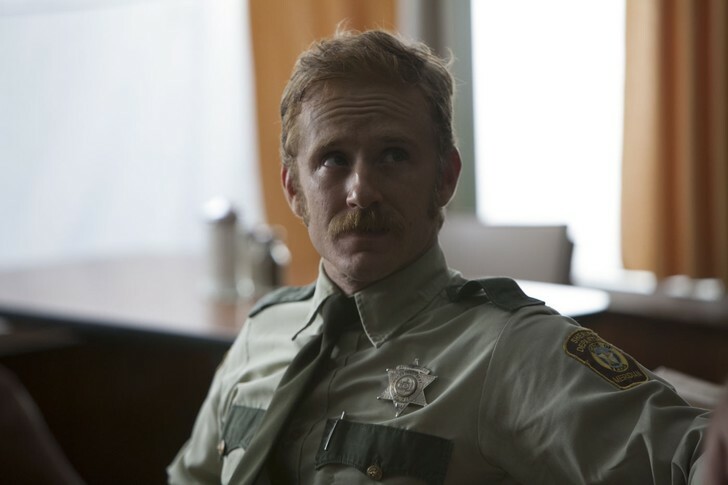 Also coming away looking good is Ben Foster as Patrick Wheeler, the police officer who Ruth shot but Bob took the rap for. Years later, he’s drawn to Ruth, not knowing the truth. Mara and Foster are very good together, the high point in the acting department. With a small cast, there’s really only two other parts worth mentioning. Keith Carradine is misused as Skerritt, an obvious influence on Bob and Ruth growing up….but, yeah, that’s all. This is another huge hit because of the script. It’s hinted that Skerritt ran some sort of gang in the past — Bob, Ruth, even his own son included — and was almost a surrogate father. That’s all though. Hinted at isn’t enough, too much mystery out there when even a little detail would have gone a long way. Another solid part is from Nate Parker as Sweetie, a bar owner who has a past with Bob, possibly working with him in some criminal undertakings. No doubt about it, some moments do work. Without anything said or spelled out, it seems the story is set in the 1970s. The folksy musical score underplays the story and what little action there is. A nighttime ambush by three bounty hunters/hired guns with Bob is chaotic and crazy, a chase ensuing with fast-paced, backroads Cajun music playing with it. It isn’t enough though, the moments not adding up to a worthwhile package. When things truly fall apart in the finale, we’re supposed to feel something, but it’s just not there. I was never invested in the characters or their goals or concerns so when the inevitable downbeat ending comes along, it falls short. A disappointing negative review because there was potential for an interesting movie.